Attacked by a dangerous dog? You have rights and may be entitled to compensation. 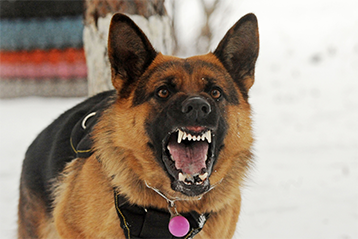 Dog bites can cause significant trauma to the victim and anyone else who witnessed the attack. The injuries sustained in dog attacks often require surgery and ongoing treatment, resulting in extensive medical bills and financial hardship in the future. In many cases, the victim is unable to return to his or her previous position of employment due to the permanent injuries that they suffer. If you have been the victim of a dog attack, you may be awarded compensation for your injuries and costs of medical treatment, including scar-remediation treatment and therapy. Contact a Union County personal injury lawyer at Schiller, Pittenger & Galvin, P.C. today at (908) 490-0444 to ensure your rights are protected and that your family and you receive the compensation you deserve. Dog Bite Injury? WE CAN HELP.